Inspired by a true story, Everybody’s Talking About Jamie is the new award-winning five-star hit musical for today. Jamie New is sixteen and lives on a council estate in Sheffield. Jamie doesn't quite fit in. Jamie is terrified about the future. He is going to be a sensation. Supported by his brilliant loving mum and surrounded by his friends, Jamie overcomes prejudice, beats the bullies and steps out of the darkness, into the spotlight. John McCrea, Josie Walker, Tamsin Carroll, Lucie Shorthouse and Phil Nichol lead a twenty-four strong company and an eight-piece band that will 'sweep you away on a tide of mischief, warmth and exuberance' (Financial Times). With songs that have the wow factor (The Times) by lead singer-songwriter of The Feeling, Dan Gillespie Sells, and hilarious book and lyrics with delightful punch (Whatsonstage), by writer Tom MacRae, this funny, fabulous, feel-good, musical sensation has been thrilling audiences and critics alike. 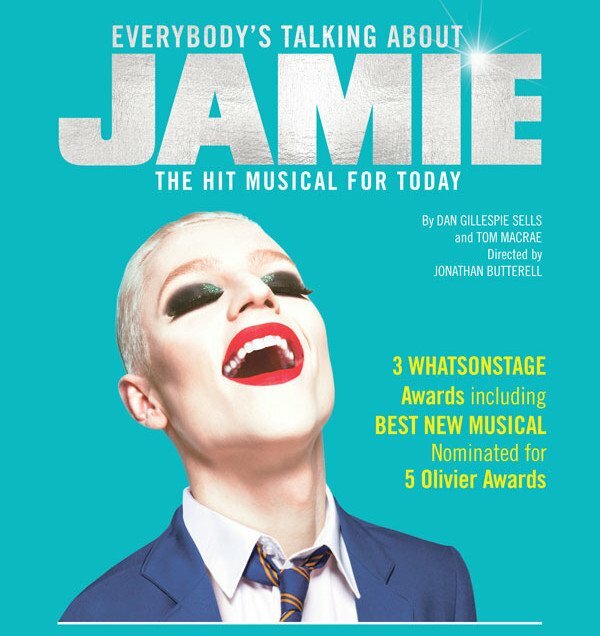 Winner of 3 WhatsOnStage Awards including Best New Musical and nominated for 5 Olivier Awards, Everybody's Talking About Jamie will be broadcast live from the Apollo Theatre in London's Shaftesbury Avenue to cinemas nationwide.